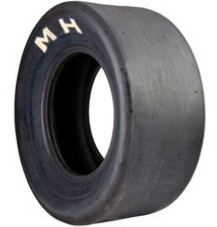 Bolt in Wheel valves are required in lots of race classes when tube-less tyres or slicks are used. 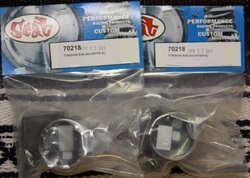 These come with 2 different size sealing adaptor rings, so can be used on most available wheels. including Porsche, Erco, BRM replica, etc. 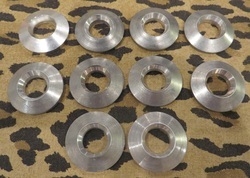 9Aluminium Wheel washers for Erco style wheels & 14mm studs. For ball joint beams and disc brakes. Weld in beam adjusters to lower or raise your Beetle/Karmann Ghia. Sold individually, but 2 are normally used in most applications. another set of not common wheels.